The Control of Asbestos Regulations 2012, since November 2006, include the duty that employers shall provide appropriate training for all workers who are likely to be exposed to asbestos and to those who supervise or oversee works that might expose employees to asbestos. This course is aimed at the construction and maintenance trades such as Plumbers, Carpenters, Electricians, Scaffolders and general allied trades, to provide them with an understanding of the locations and types of asbestos, as well as providing an understanding of the risks associated with asbestos found within their workplace. This training course is designed to provide delegates with an understanding of asbestos ONLY, it will not provide information on how to carry out ANY work with asbestos. This is a UKATA approved Asbestos Awareness course and is aimed at workers who are likely to be exposed to asbestos but not intentionally work with asbestos. 08.30am – 12.00pm (½ day). We also have scheduled courses running from our dedicated training centres. Costs are £60.00 + VAT per delegate, inclusive of refreshments, all course handouts, assessments and UKATA certification. 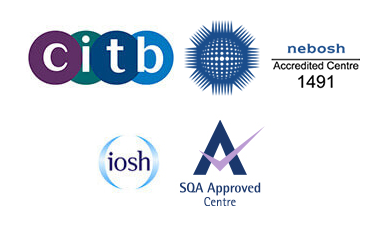 The course can be held at your own premises; the maximum number of delegates we recommend are 20 per session.